Substance Painter - download in one click. Virus free. Download the latest version of Substance Painter with just one click, without registration. It is a standalone setup package that contains the full offline installer for Substance Painter. Substance Painter is an outstanding application developed by the Dutch company Allegorithmic, which specializes in producing software, libraries, and services related to modeling and analysis of maps and textures. Substance Painter is a 3D painting program that helps you add advanced textures and materials directly to your 3D model and enables you to update each paint stroke at once. The software is used primarily in game industry. When your model is uploaded to Substance Painter, all the textures are identified and you can choose any specific channel you want to include, for example, Base Color, Opacity, Metallic, Height, Displacement, Anisotropic, Reflection, etc. You set up the channel, specify the material, and start painting. All the actions are saved automatically. 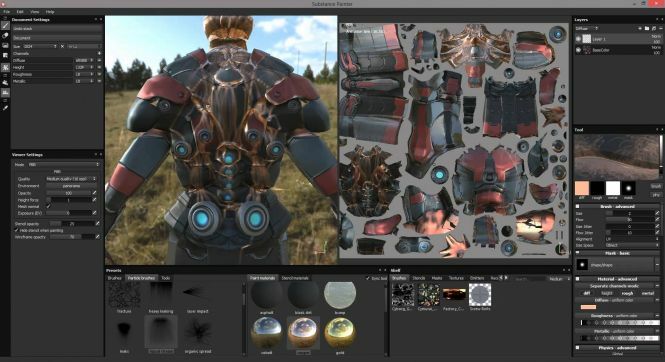 The interface of Substance Painter includes many movable panels of tools and offers a physically based (PBR) viewport for the preview of a painting. Here you can also find some optical post-effects such as DOF (depth of field), antialiasing, color correction, bloom, glare, and others. A huge variety of substance materials pre-installed, probably, gave the program its name. The items in the substance library are presented in alphabetical order and really fire the imagination. Bark old ginko, black pine bark, bump, different types of bricks and concrete – all make your 3D model look more realistic. The distinct advantage of Substance Painter is the ability to use new particle brushes. The tiny particles react to physical forces (like gravity or wind) and perform stunning weathering effects. With Popcorn FX you can even create your own particles and effects. All in all, Substance Painter by Allegorithmic is an effective solution for creating realistic textures for 3D models, especially in computer games of a new generation. 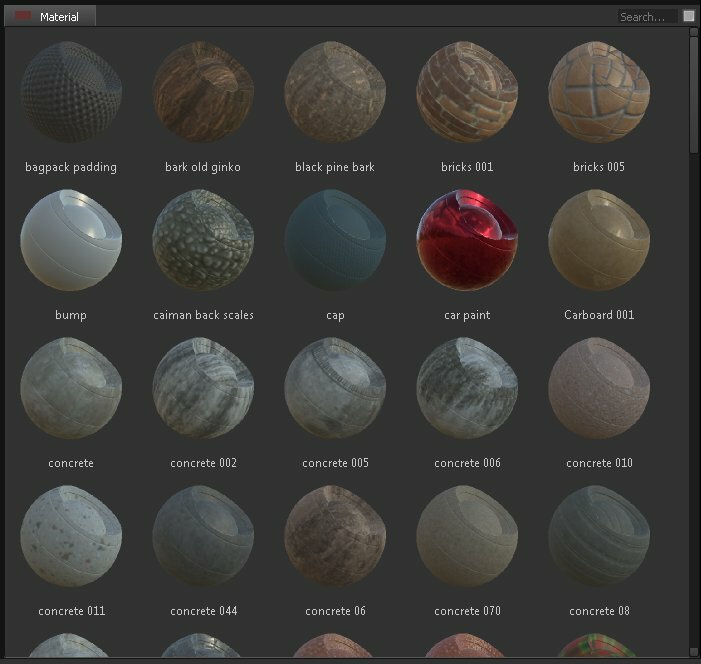 In Substance Painter you choose from a great number of materials and effects to bring your 3D artwork to life. Supports close integration into 3D graphics applications. Offers a huge variety of realistic materials and textures. Has a physically based (PBR) viewport for accurate material feedback. Provides you with optical post-effects and weathering effects. Allows to make your own maps.